Telecom, media and tech investment and consolidation activity in Africa is predicted to reach a record high for 2019 as a number of significant deals including the opening up of Ethiopia’s telecom sector are scheduled, reports specialist news provider TMT Finance (www.TMTFinance.com). Pan-African telecom operators MTN, Orange and Vodacom are among those vying to enter Ethiopia for the opportunity to serve its 105 million population following progress in the telecom privatisation process, reports TMT Finance. Ethio Telecom, which has around 66 million customers, took a major step forward in its much-anticipated privatisation last month by pre-selecting six consultancies in partnership with the World Bank. Ethio, will be split into two businesses, offering tremendous growth potential to new entrants. Privatisations of telecom assets are also planned for Togocom and Benin Telecom in West Africa, with consolidation investments expected in Kenya and Tunisia. Meanwhile, Airtel has hired banks for an IPO of its entire Africa portfolio while several telcos are bidding for Millicom’s assets. The acceleration of investment into mobile and broadband infrastructure across the region continues as operators and investors try to meet the need for data services. 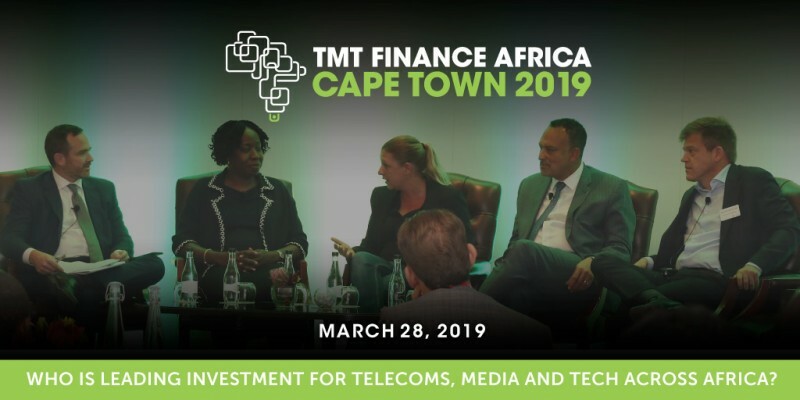 Leaders from the largest African telecom, media and technology companies, investment banks and investors are meeting to assess the latest investment opportunities at the annual TMT Finance Africa in Cape Town 2019 (www.TMTFinance.com/capetown) conference on March 28. Over 60 key speakers have been announced for the event, which features CxOs and senior executives from Vodacom, MTN, Helios Towers Africa, CSquared, Dark Fibre Africa, Convergence Partners, Seacom, Angola Cables, Standard Bank, IFC World Bank, DLA Piper, Rand Merchant Bank, WIOCC, Paix Data Centres, BCX, European Investment Bank, Investec Asset Management, GreenWish Partners and others. Key sessions at the senior executive only event include: Telecom Leadership Africa; Broadband Infrastructure; Digital Infrastructure Africa; Media; Powering Mobile Tower; Data Centre and Cloud, Mergers and Acquisitions; Investors; Broadband; Financing TMT; Fintech and Mobile Money; and Smart City.